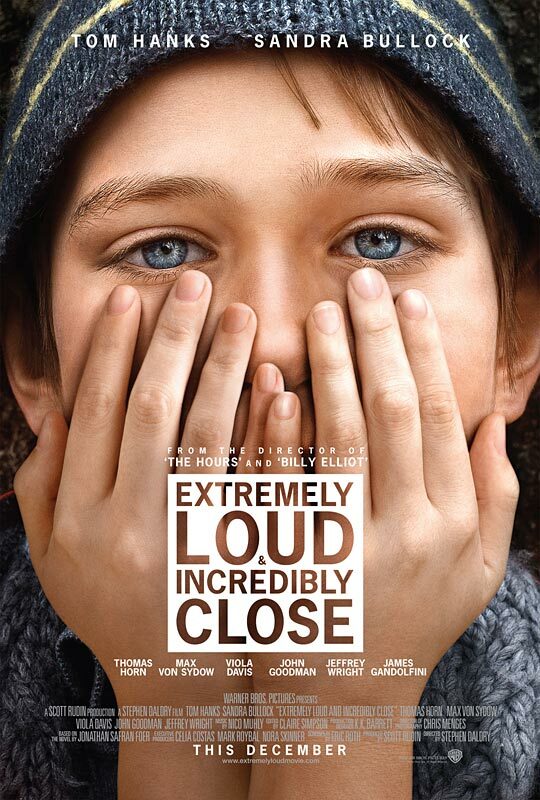 Extremely Loud and Incredibly Close is far too high profile of a project to be released during the January doldrums so that tells you something right away. The film is a studio head’s dream: a family friendly drama directed by critical favorite Stephen Daldry (The Reader, The Hours), based on a novel by well-known author Jonathan Safran Foer (Everything is Illuminated), and starring the likes of Tom Hanks and Sandra Bullock. This well-intentioned tale of a boy on a treasure hunt in post-9/11 New York City both requires and demands audience immersion. If you’re smart enough to not be captivated by the film’s ten minute mark then the two hours that follow are going to be painful. 9-year-old Oskar Schell (newcomer Thomas Horn) is a verbose know-it-all with an impressive knowledge of geography and zoology. He’s wise beyond his years yet he maintains a childlike innocence that is seen in his kung-fu shadowboxing and his requests for iced coffee, half and half. His knowledge is credited to his jeweler father Thomas (Hanks) who, before he perishes during the “worst day ever”, trained him in the ways of the world via nonsensical riddles. “How can I ever be right?” asks Oskar. “How can you ever be wrong?” replies a sage-like Thomas. Another groan-inducing quote: “If you want to believe, you can find reasons to.” So Thomas passes away, his wife Linda (Bullock) doesn’t take it well, and, a year later, Oskar embarks on a quest throughout the city to solve a mystery of his own devising. It’s at this point that Oskar embodies the post-9/11 New Yorker, full of fears and insecurities over the slightest of external disturbances. 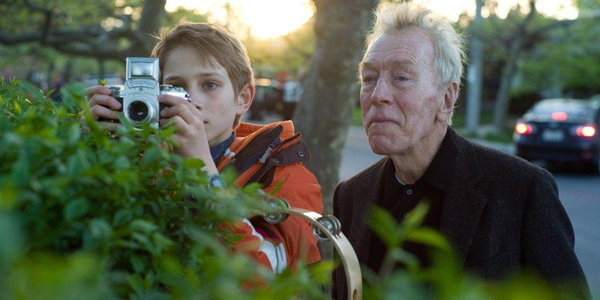 He teams up with an elderly mute (Max von Sydow) who moved into his grandmother’s apartment shortly after 9/11 and harbors a secret that is easy to guess. “The Renter” teaches Oskar that public transportation is nothing to fear and thus the child is eventually able to ride the subway sans gas mask (his book bag of tricks also includes a tambourine that he annoyingly shakes whenever he’s nervous). The mystery is solved, family ties are strengthened, and a lot of ancillary characters shed tears just as I did out of frustration about 30 minutes in. Oskar is easily one of the most annoying and overly defined young characters to ever grace the silver screen (for last year’s winner see Dolphin Tale). It’s supposed to be cute when he breaks character to ask adult strangers inappropriately blatant questions like “Can I kiss you?” and “Do you need a hug?”, but these moments of “sincerity” merely had me wishing that Bullock would slap the kid We Need to Talk About Kevin-style. He also has a dark side as his body is covered in self-inflicted welts that represent his unease with his fatherless life. His breathless, detailed-to-the-second hand diatribes and recollections are as dizzyingly absurd as the film’s resolution, which is the kind of tidy, manipulative conclusion that dull, suburban parents will approve of through tears that they feel are deserved (hey, it’s up to them). The film posits the overused theory that we are all connected and the world will be a better place if we exploit that concept. And yet this is possibly the most disconnected I’ve ever felt from a motion picture. Go figure. 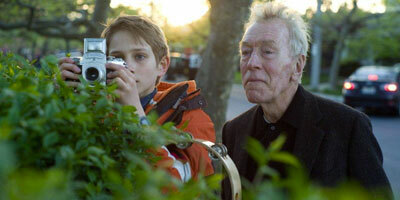 Extremely Loud and Incredibly Close opens today in Philly-area theaters.